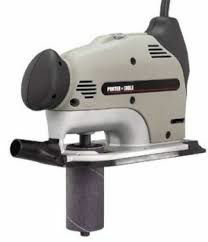 Anybody Wanna Part With Their Spindle Sander? I’d like to find an old Delta BOSS, but I can’t find one anywhere. At this point, I’m open to anything that somebody is willing to sell, just as long as they aren’t asking an arm and a leg for it. I’d prefer a bench top machine, so if you got one laying around, or you’re looking to upgrade, let me know. I have banjo heels that need radiused! Thanks y’all!